In a rapidly changing world, we must be quick to adapt — otherwise, we’ll be left behind. Trends and tastes change at every corner, often leaving industries scrambling to keep up. Across all fields, the strategies that worked for decades just won’t have the effect they once did. Due to rapid advances in technology and changes in consumer trends, we’re all having to change the way we do business. This is especially true in the marketing world, where we constantly strive to ride the shifting tides. Old marketing and SEO strategies, despite the success they’ve brought us in the past, just don’t cut it anymore. Over the past couple years, search engines have updated their algorithms, forcing marketers to change the way we play the SEO game. Here are some SEO strategies that just don’t work anymore, and what you can do to stay ahead of the curve. For most of the internet’s history, we’ve only needed to worry about how a website looks and functions on a desktop computer. That’s not the case anymore. Think of how often you use your phone to make a Google search. Whether it’s looking for the nearest restaurant, reminding yourself when the next playoff game starts, or seeking out great parenting strategies, you probably use your phone to make those searches much more often than you use your laptop or desktop computer. Because we all tend to make so many searches on mobile devices, it’s crucial that websites convert well to a mobile format. Otherwise, your website’s ratings will drop. Keep this in mind when designing and developing your website. Google recommends that all websites have a responsive web design that can easily adjust the viewing size of the site while retaining accessibility and aesthetics. The key is to provide users with a positive search experience, no matter what device they’re searching on. Otherwise, your SEO will take some blows. For years, one of the easiest ways to pump up SEO was to inundate content with keywords, even if it made the copy sound choppy and difficult to read. We did this because search engines only searched for keywords word-for-word, but like everything else, this SEO strategy is changing. With updates over the years, Google has improved its latent semantic indexing (LSI), which helps search engines find the most common words or phrases, combines them, and identifies them as a whole as keywords. LSI can also identify synonyms and group them with the keywords. Search engines are getting much better at discerning meaning rather than simply scanning letters, which means you don’t have to cram your content full of word-for-word keywords. Instead of writing for the search engine, now you can write for the readers. Integrate keywords organically rather than forcing them down the user’s throat. There’s nothing wrong with centering your content around certain keywords, but now you can start allowing your content to revolve around a central idea that utilizes the keyword and similar words and phrases. With that, you can deliver more of what the user is looking for. Better overall quality in your content will also increase traffic to your site. The higher the rank, the more traffic you’ll draw to your website, right? Not necessarily. Your SEO may land you some high rankings, but that doesn’t ensure click-throughs. It all depends on what specifically you’re doing to increase your SEO. You could have a high ranking because you’ve spammed your content with keywords, which can sometimes end up landing you a ranking with unrelated keywords. Trying too hard to raise rankings may also tempt you to settle for mediocre titles and meta descriptions. How can you gain a high rank and draw in the traffic you’re looking for? First, know how to use your keywords. Study the market and build your strategy around keywords that you know will work. Second, take the time to write appealing meta descriptions. You don’t need to be afraid to use keywords, but in a short space, show users why they should want to read your content and what separates you from the many search results below your website. 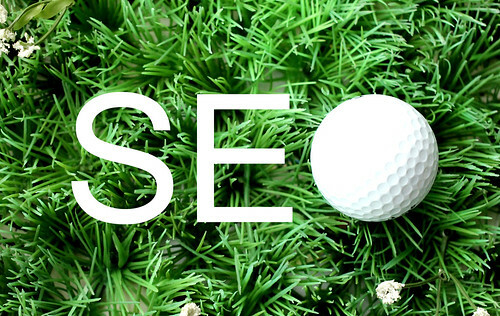 SEO is no longer just about keywords and having tons of links peppering your content and code. And no longer is Google the only place where users can go to find information. Many users’ first interaction with a brand or website is through social media, where it’s been shared or displayed through an ad. Many argue about whether or not social media directly affects your site ranking, but its impact is undeniable. There seems to be a positive correlation between high-ranked websites and their social media audiences. Therefore, if your company has put off joining Facebook, Twitter, and Instagram, it may be time to rethink that. At the very least, SEO strategies that include social media will increase traffic and backlinks to your website. You don’t have to post constantly, but consider integrating social media into your marketing strategy. It’s a great environment to share helpful content and expand brand awareness. But remember that many users almost solely access social media on their mobile devices, so if your website isn’t social media friendly, you probably won’t get the conversion you’re hoping for. In the end, it all comes down to this: SEO strategies used to be all about playing the system, about feeding search engines exactly what they looked for, but with these engines becoming smarter every year, quality has become queen. You could have more keywords and links than anyone else on the web, but if your content is virtually unreadable and users can’t access it on mobile devices, then you need to rethink your link building process and overall SEO strategy. Such rapid growth in the marketing industry is exciting and energizing. Use that excitement to fuel your website to the top of the SEO game.